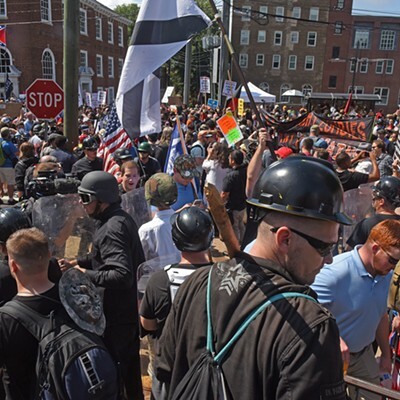 Powder Keg: A Recap of a Weekend of Violence in Charlottesville | Cover Story | Style Weekly - Richmond, VA local news, arts, and events. 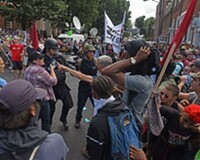 Scott Elmquist White supremacists confront counterprotesters in Charlottesville. It began with an issue that Richmond knows well: the proposed removal of a statue of Confederate Gen. Robert E. Lee. It ended in three deaths. 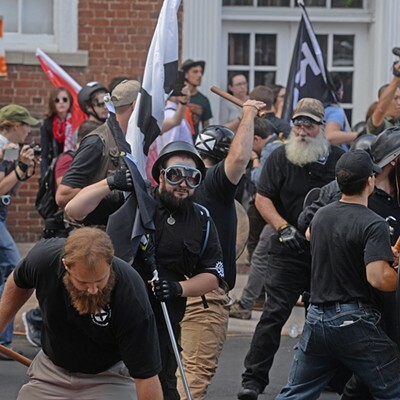 White supremacist groups — the Ku Klux Klan, neo-Nazis, armed militias and the self-described alt-right — came to this college town to march down the lawn at the University of Virginia on Friday night and to hold a rally the next day at Emancipation Park. 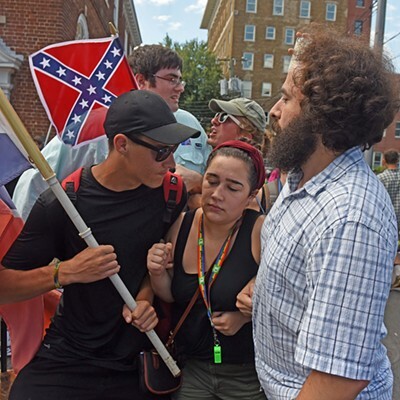 There, they were confronted by counterprotesters, and a violent clash broke out that resulted in the death of Heather Heyer, a Charlottesville paralegal. Two state troopers, Lt. H. Jay Cullen of Midlothian and pilot Berke M.M. Bates, also died, in a helicopter crash, while monitoring the situation. 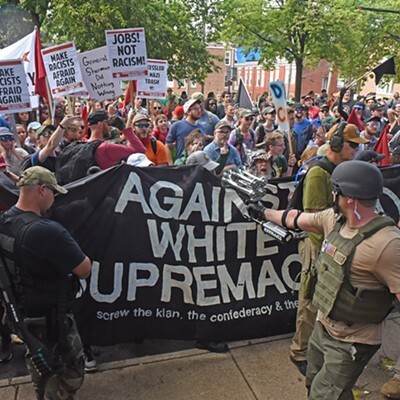 On Sunday, a vigil organized by Virginia Delegate Delores McQuinn was held at Richmond’s Reconciliation statue to mourn the dead and call for an end to hate and bigotry. Gov. Terry McAuliffe, Rep. Donald McEachin, Mayor Levar Stoney and local faith leaders attended. 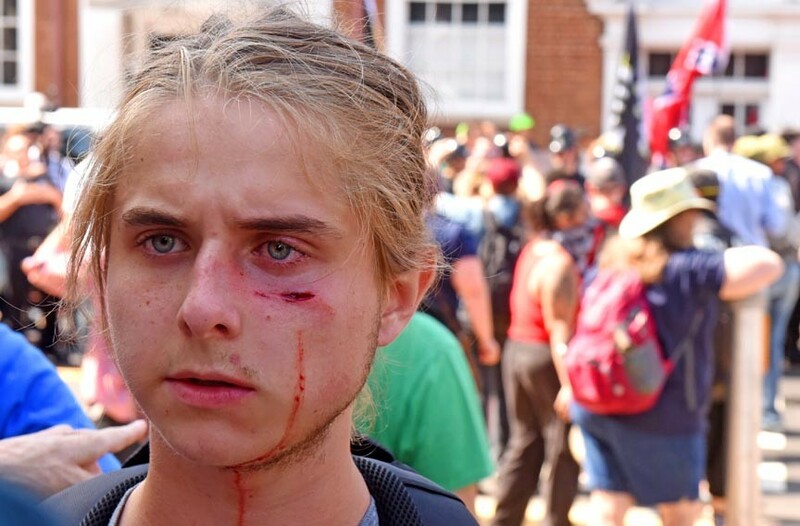 Style photographer Scott Elmquist was in Charlottesville on Saturday, close enough to taste tear gas and hear the sound of shields slamming against each other. 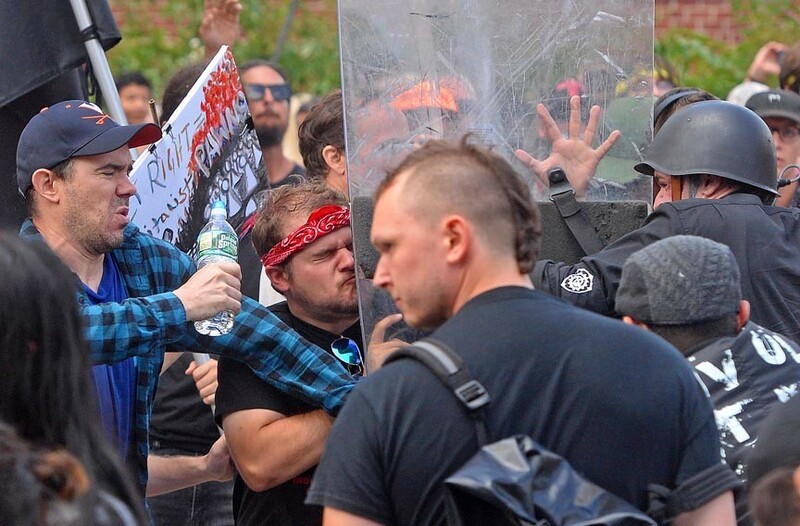 Here are the images he captured. 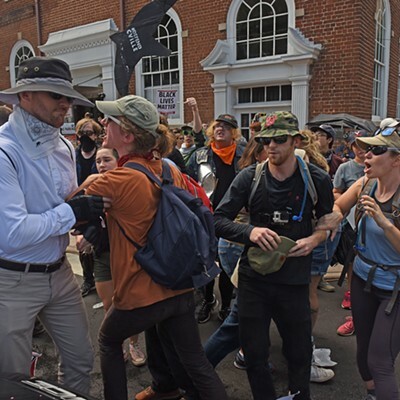 A militia group clashes with counterprotesters on Charlottesville’s Market Street. 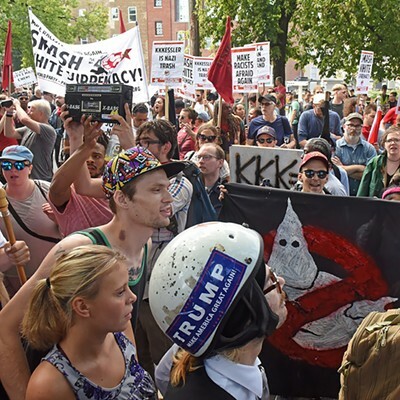 The white supremacist rally, Unite the Right, attracted groups from all over the country. 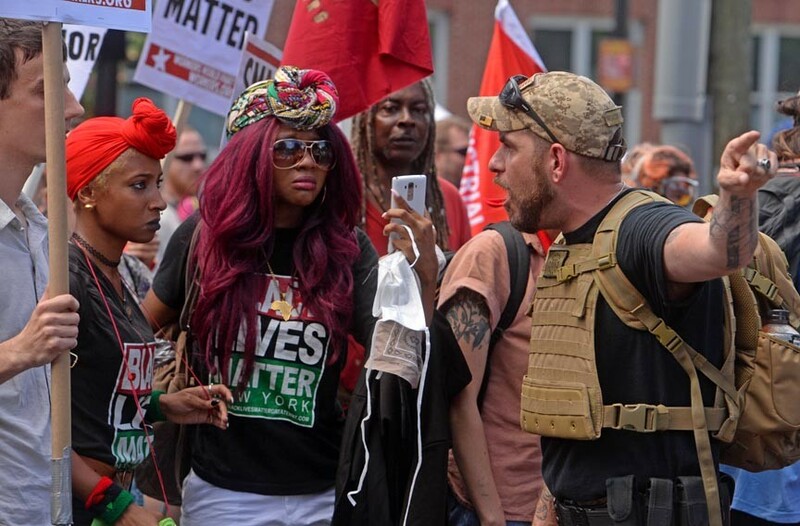 A protester directs counterprotesters to Emancipation Park if, he says, they want confrontation. 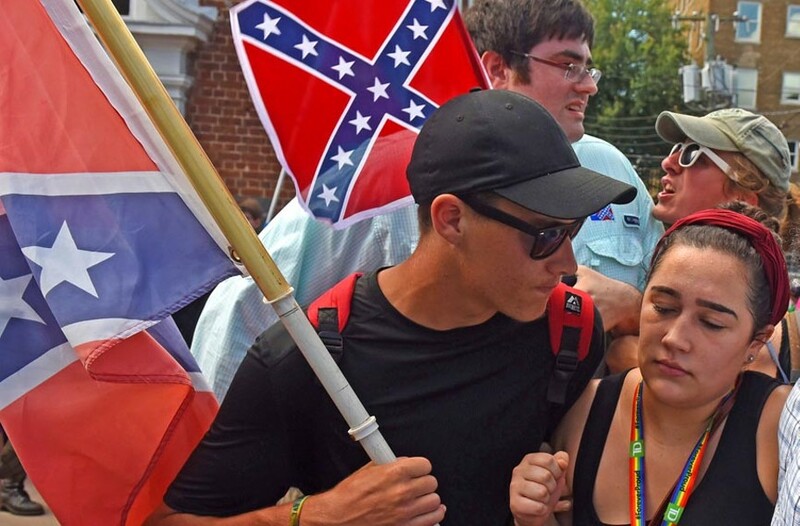 The proposed removal of the park’s statue of Robert E. Lee sparked the white supremacists’ protest. 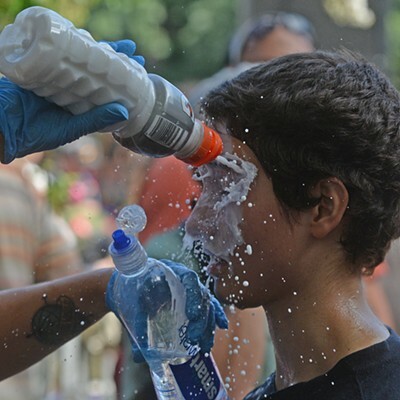 Sticks, rocks and tear gas were used during the violent clash. 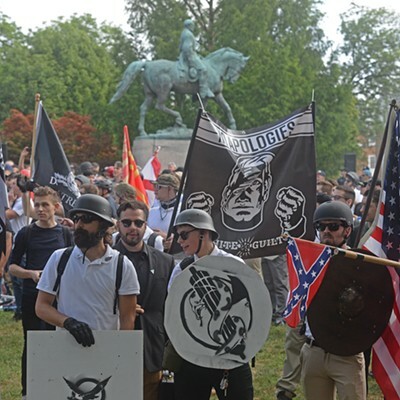 Neo Nazis, white nationalist militia groups, the Ku Klux Klan and other white supremacists stand behind a barrier in Emancipation Park, taunting counterprotesters on the other side. 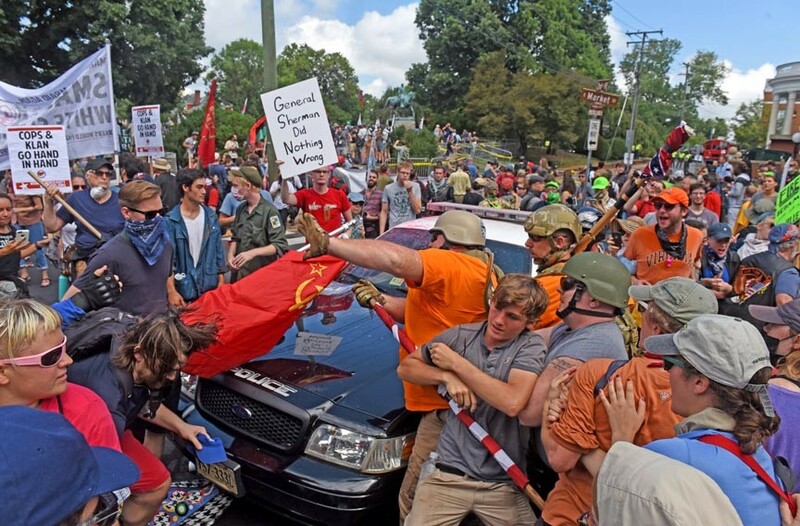 With only a police car separating them and the disputed Lee statue in the background, counterprotesters and members of white nationalist groups erupt in anger. Gov. 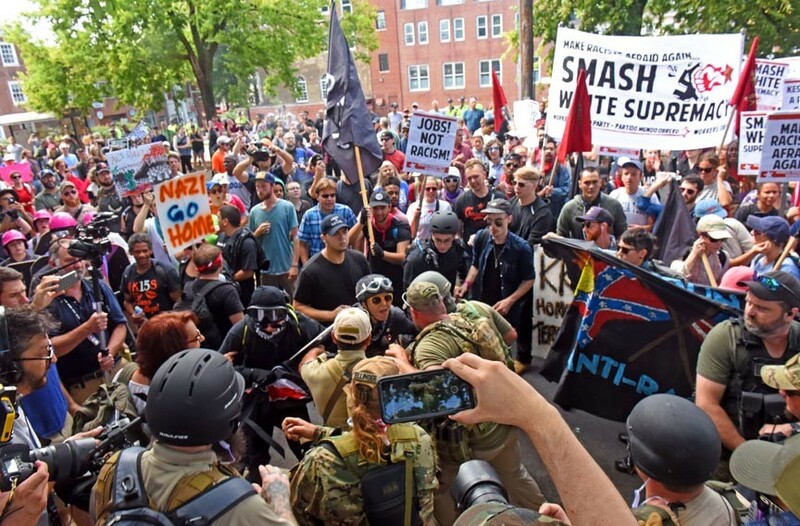 Terry McAuliffe issued a state of emergency and city officials declared the rally an unlawful assembly. 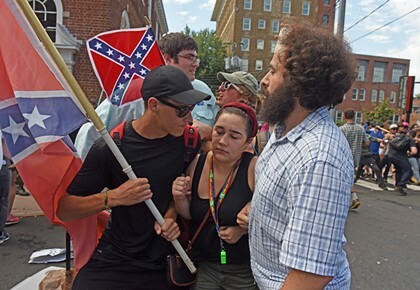 Although the two groups clashed behind the Rotunda at the University of Virginia on Friday night, the next day, Market Street, which runs in front of Emancipation Park, was the scene of most of the violence. 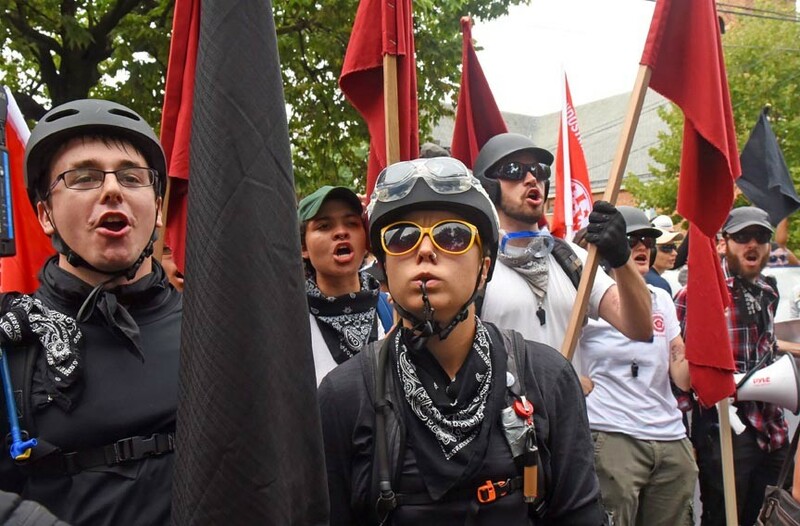 Some counterprotesters arrived with helmets, shields and scarves. 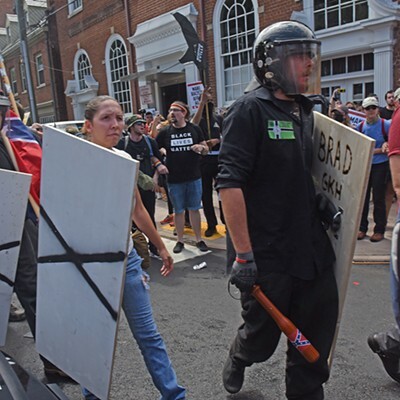 Many mistook militia groups, who arrived armed with assault rifles, for the National Guard. 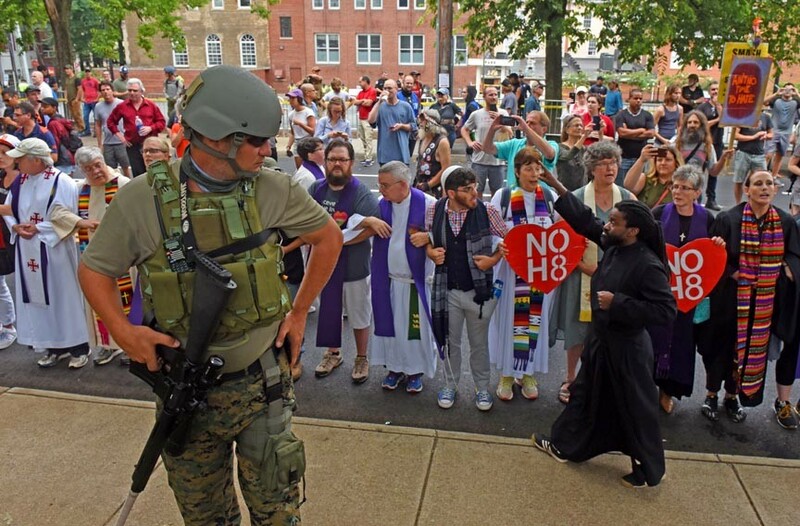 Here, members of the clergy line the street, arm-in-arm, in support of the counterprotesters. 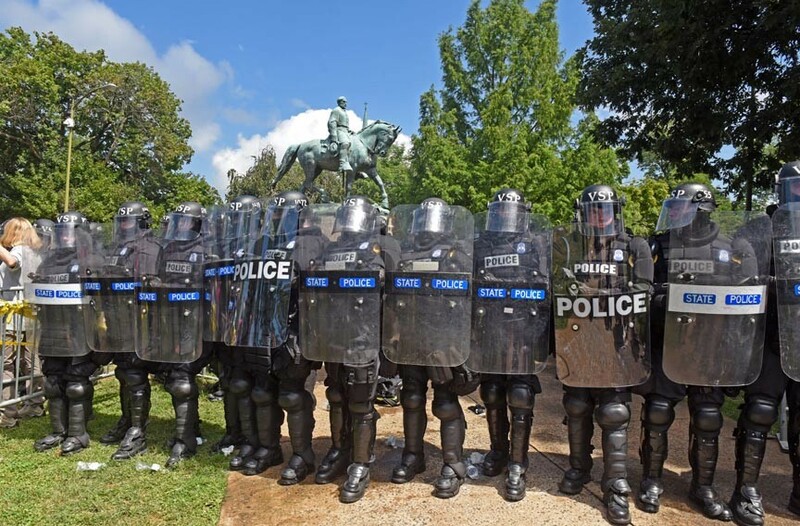 Shortly before noon, the state police ordered the area cleared and formed a barrier in front of the Lee statue. 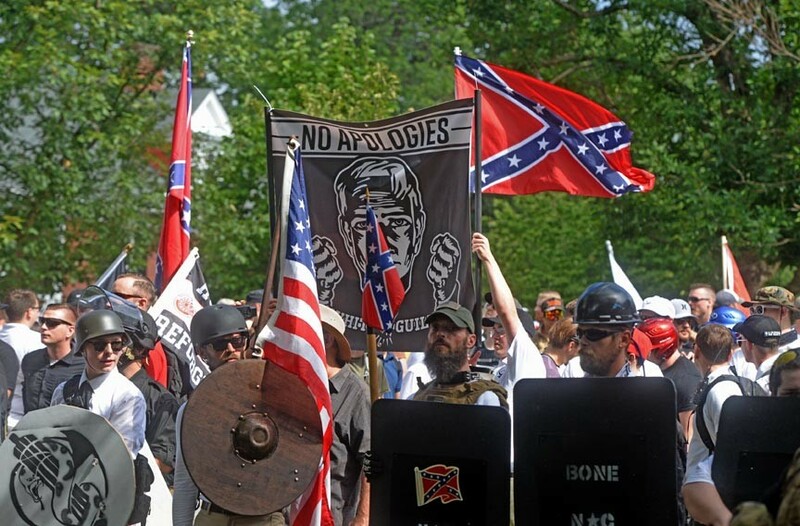 An incomplete list of the Richmond-area’s publicly-owned places and monuments that refer to the Confederacy.